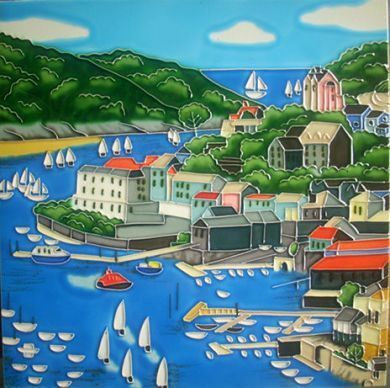 Hand Painted Ceramic Picture Tile 12"x12"
A hand crafted picture tile depicting the south Devon fishing town of Salcombe. 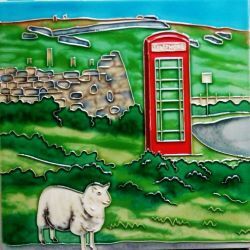 Now a popular tourist and sailing desination, Salcombe's beautiful harbour, beaches and coastline are forever encapsulated in this ceramic tile. A great present or momento for those people that are lucky enough to know and love the town.